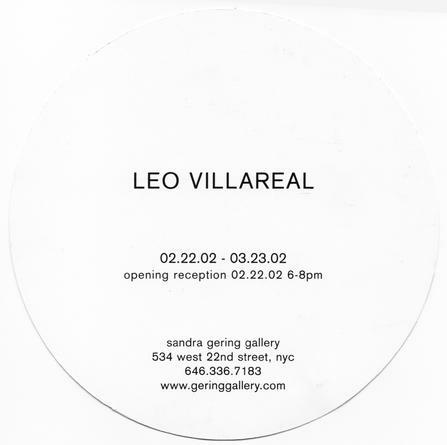 Leo Villareal first solo exhibition in New York, was presented by Sandra Gering Gallery at its former Chelsea location. 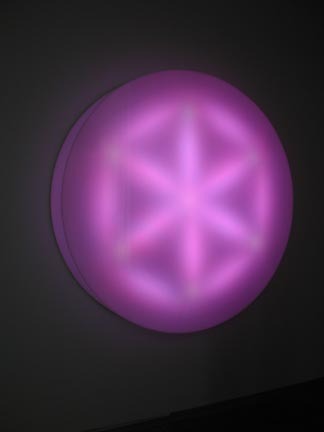 Leo Villareal creates light works that, although created technologically, are imbued with an organic, living quality.  When the numerical sequences of Villareal's programming are manifested as pulsing light, the viewer is inclined to search out patterns and rhythms that are familiar and that correspond to the natural world. Villareal's Open Air, for example, plays with the thresholds of perception as it alternates between order and chaos. 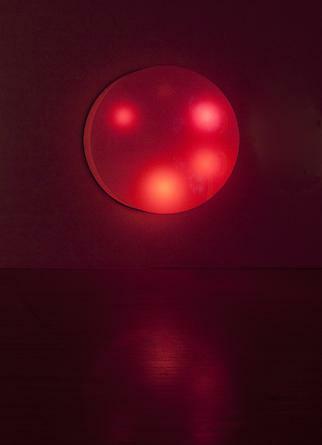 At times the work's slow throbbing suggests breathing, while at others its random shifting resembles a smoldering fire. 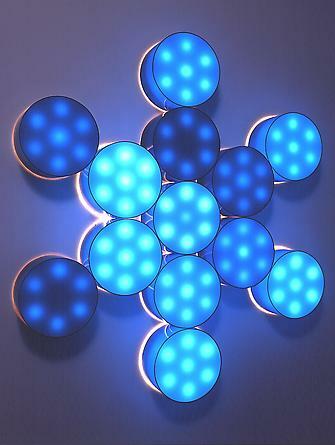 The patterns in Villareal's light pieces occur on many levels - in the structure of the work, in the colors of the bulbs, and in the rhythm of the pulsing lights. 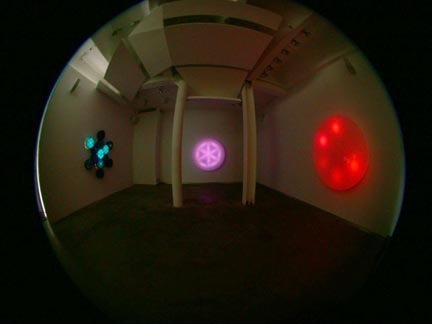 Villareal employs all of these elements to create complex, layered systems that explore both spatial and temporal resolution. The works in the exhibition share underlying structures but also take on unique personalities through variations in form and scale. 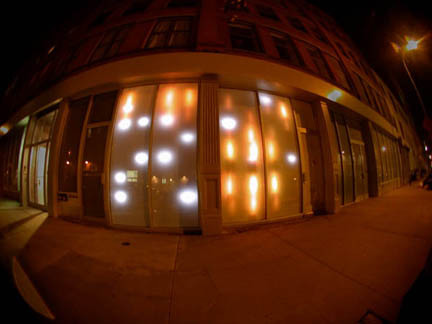 During Villareal's exhibition, the storefront windows of the gallery were taken over by Strobe Matrix, a grid of flickering lights. 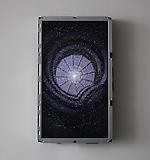 The constantly changing rhythmic patterns of the light implied some form of coded communication. Expanding on this idea, the matrix had a corresponding, interactive element Sequencer 1.0,a web based artwork presented by Amnesty International as part of Shine02.org. 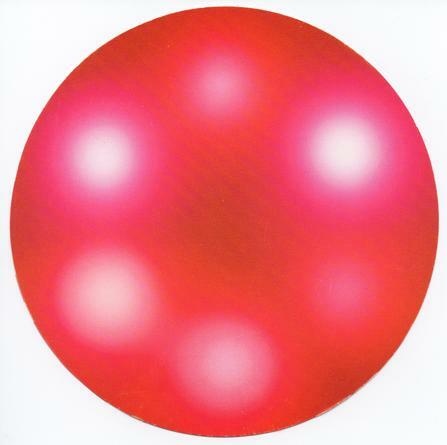 Internet participants were able to create their own pattern sequences, which could be uploaded to Strobe Matrix, becoming part of a dynamic and evolving 'daily mix'.